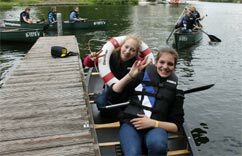 Those who pick up a boat for the first time in Berlin in a canoe rental or kayak rental will get to know the capital from a whole new site. 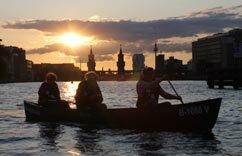 Paddling around Berlin by canoe was far out of the question for many Berliners and Brandenburgers for a long time. 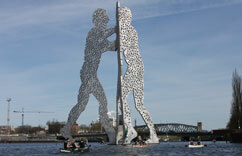 The banks of the Spree in Berlin have changed rapidly since the fall of the Berlin Wall. The industry with smelly sewage pipes has long been history. There is much to discover around the Berlin waters, for example ruins of a former laundry factory in Köpenick. Meanwhile, the old brick buildings are being intricately converted into luxury apartments, piece by piece. We are happy to advise you with various water routes. 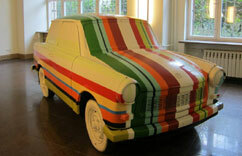 Check it out and drift through the Mother City! 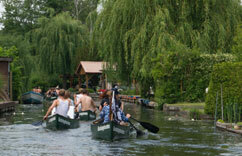 The canoe station is located in the Funkhaus Berlin in Nalepastraße 18, 12459 Berlin. You can reach us best from the S-Bhf. Ostkreuz with the tram line M21 to the stop: Köpenicker Chaussee/ Blockdammweg). Once at the Funkhaus, walk past the barrier to the shore where the UFO stands. Please note that the tram line runs only in 20 minutes, so plan enough time! 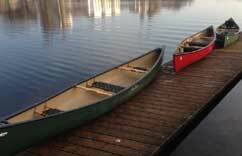 We also offer groups a pickup service of our canoes . So you can also cover the distance one-way without thinking about the way back. If you are interested in picking us up, please call us or email us. It paddles best in the 1-man kayak alone! As an advanced paddler, you’re still faster than you are in a canoe. However, if you like it cosy, we recommend a canoe. 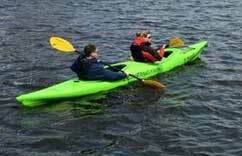 Kayak beginners usually have to contend with the water drops of the paddle in the beginning. 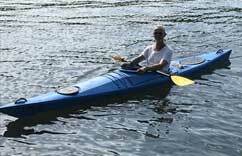 A fast 1-man kayak with control system, which also makes the hearts of paddle experienced people beat faster. If necessary, we also offer waterresistance blankets. The kayaks are also equipped with two luggage pools for multi-day tours. 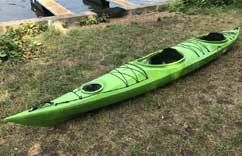 If the paddle stroke is at the same rhythm, you can travel much faster with the 2-man kayak than with a canoe. 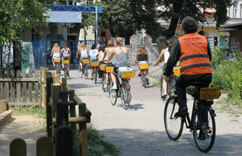 Thanks to the double paddle and the deep seating position, you can quickly get to 20 km in one day. 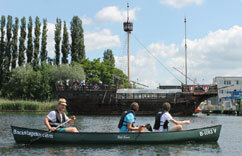 For paddle beginners, we recommend canoes with comfortable entry. 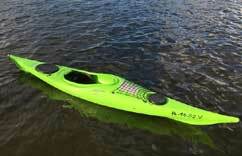 A fast 2-man kayak with control system, which also makes the hearts of paddle experienced people beat faster. If necessary, we also offer waterresistance blankets. The boats are also equipped with two luggage pools for multi-day tours. 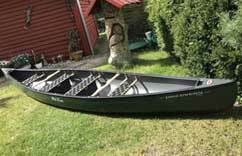 A very light-running canoe thanks to the stiffened boat materials and in combination with the slightly rounded fuselage. 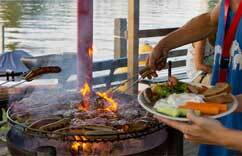 Ideal for two adults or with 1-2 children. With the canoe, a proud 480 kilograms can be loaded, with your own weight only 37 kilograms! A super standup paddling board for beginners or advanced. A great feature is that there is also a seat with a nous. 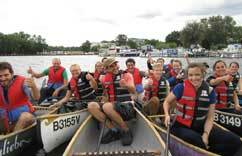 Before it starts, everyone gets life jackets, matching paddles and a short crash course. For the valuables, each SUP has a waterproof ton.